Being able to analyze information collected from streams of data, generated by different types of sensors, is becoming increasingly important in many domains. 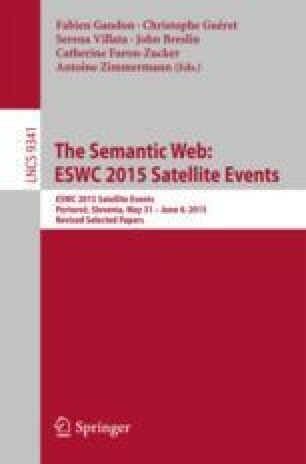 This paper presents an approach for creating a decoupled semantically enabled event processing system, which leverages existing Semantic Web technologies. By implementing the actor model, we show how we can create flexible and robust event processing systems, which can leverage different technologies in the same general workflow. We argue that in this context RSP systems can be viewed as generic systems for creating semantically enabled event processing agents. In the demonstration scenario we show how real-time monitoring can be used to support criminal intelligence analysis, and describe how the actor model can be leveraged further to support scalability. This work was supported by the EU FP7 project Visual Analytics for Sense-making in Criminal Intelligence Analysis (VALCRI) under grant number FP7-SEC-2013-608142.